1. Prepare the poussin marinade first of all by combining the ras el hanout, olive oil and honey and mix to combine. Add in a little squeeze of lemon juice before setting the lemon aside for later. Brush the marinade over the poussins and leave to marinade for at least an hour or overnight if you can. 2. When you are ready to use the poussins, take half the leftover lemon and slice into thin wedges before placing around the poussins along with the two whole garlic cloves. Heat the oven to 180c/ 160 fan and cook for 40- 45 minutes until cooked through and the juices run clear. 3. About 15 minutes into cooking the poussins you need to get going on the spicy potatoes so everything is ready together. Par boil the halved potatoes for 5-7 minutes until becoming tender and drain well. Heat a glug of oil in a frying pan over a medium/ high heat and add the shallot and one crushed garlic clove; fry for 1 minute. Add in the potatoes and cook until golden. The shallot will caramelise and will smell wonderful! A couple of minutes before the potatoes are ready, pop in the harissa and mix through so all the potatoes are coated before adding the red pepper and seasoning. If you want a bit more heat then you can also add some red chilli at this point. Serve the potatoes in a warmed serving dish so everyone can help themselves and finish off with a small handful of chopped flat leaf parsley before serving alongside the poussin. I served this with a simple side salad dressed with a combination of olive oil, a squeeze of lemon and some dukkah (a Middle Eastern crunchy wonder!). 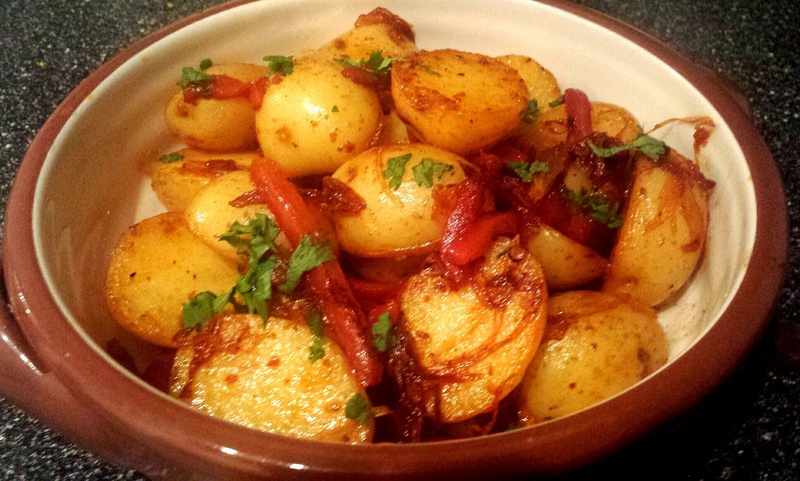 Moroccan style poussin with harissa potatoes- a taste of the Middle East in the comfort of your own home! 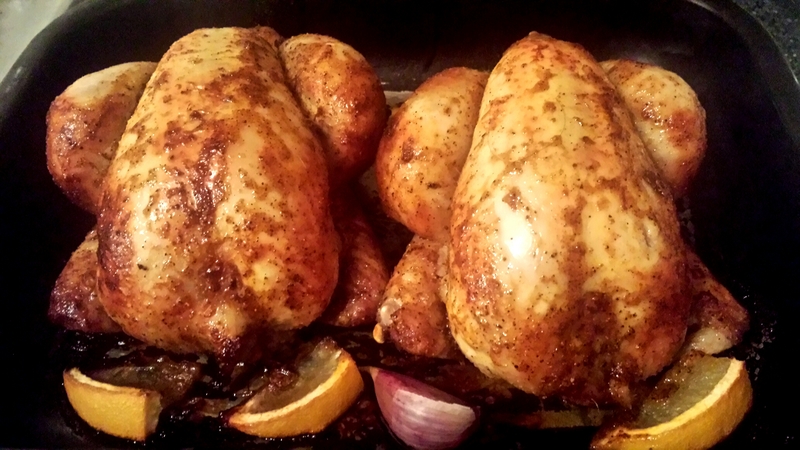 This entry was posted in Recipes and tagged harissa, Moroccan, poussin, ras el hanout by sotiris14. Bookmark the permalink.